The electrostatic potential of a highly charged disc (clay platelet) in an electrolyte is investigated in detail. 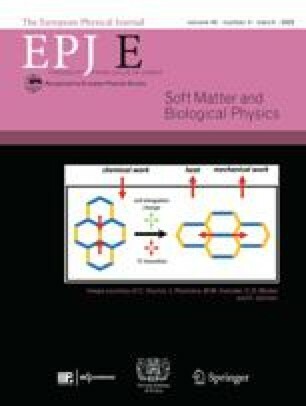 The corresponding non-linear Poisson-Boltzmann (PB) equation is solved numerically, and we show that the far-field behaviour (relevant for colloidal interactions in dilute suspensions) is exactly that obtained within linearized PB theory, with the surface boundary condition of a uniform potential. The latter linear problem is solved by a new semi-analytical procedure and both the potential amplitude (quantified by an effective charge) and potential anisotropy coincide closely within PB and linearized PB, provided the disc bare charge is high enough. This anisotropy remains at all scales; it is encoded in a function that may vary over several orders of magnitude depending on the azimuthal angle under which the disc is seen. The results allow to construct a pair potential for discs interaction, that is strongly orientation dependent.